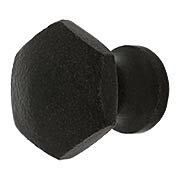 This hexagonal knob is a wonderful alternative to the round standards. 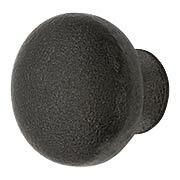 With a 7/8 Inch diameter, it’s perfectly suited for small cabinet doors, dresser drawers, or a medicine cabinet. 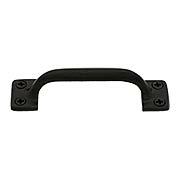 Cast in iron with a lacquer finish, it will last for years to come. 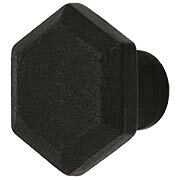 This hexagonal knob is a wonderful alternative to the round standards. With a 1 ¼ Inch diameter, it’s perfectly suited for larger cabinets and drawers. 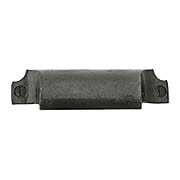 Cast in iron with a lacquer finish, it will last for years to come. 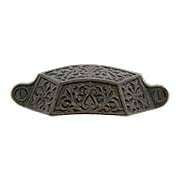 A swirling pattern of vines and leaves gives this Victorian bin pull a medieval flair. Ideal for Gothic Revival or Tudor interiors, it's a wonderful accent to more eclectic modern homes as well. 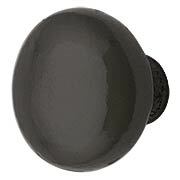 Exactingly reproduced in cast iron with a lacquered pewter finish. 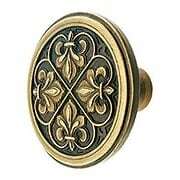 Recalling 16th-century French style, the Chateau knob adds an elegant look to cabinets and furniture alike. 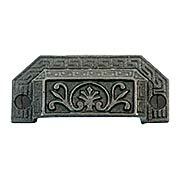 Finely cast in pewter, its Renaissance-era motif is displayed in precision detail, and comes in four luxurious finishes including a stunning antique copper. Handcrafted in the USA. 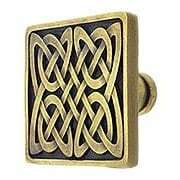 Our Celtic shield round knob features a lyrical, medieval design. 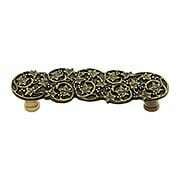 Finely cast in pewter, its intricate pattern displays in splendid detail. 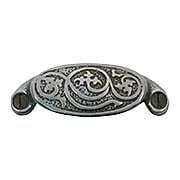 Available in three rich, hand-applied finishes, choose from a silvery antique pewter, glowing antique brass, or shiny brite nickel. 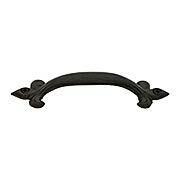 It makes a wonderful addition to Tudor or Arts & Crafts-style interiors. 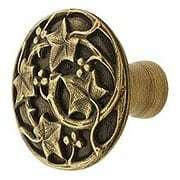 Adorned with a design of swirling ivy leaves, this intricate knob is a fine example of English Arts & Crafts style. 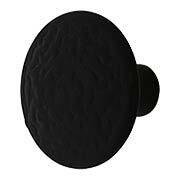 Cast in pewter for exquisite detail, it comes in your choice of two rich, hand-applied finishes. Inspired by the wallpapers and fabrics of William Morris (circa 1870s), it's a lovely addition to furniture or cabinetry throughout your home. Handcrafted in the USA. 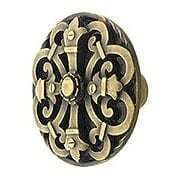 Adorned with a design of swirling ivy leaves, this intricate pull is a fine example of English Arts & Crafts style. 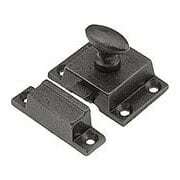 Cast in pewter for exquisite detail, it comes in your choice of two rich, hand-applied finishes. Inspired by the wallpapers and fabrics of William Morris (circa 1870s), it's a lovely addition to furniture or cabinetry throughout your home. Handcrafted in the USA. 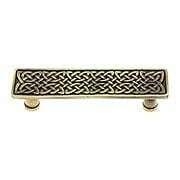 Celtic Isles Square Knob - 1 3/8" x 1 3/8"
Our Celtic Isles square knob features a lyrical, medieval design. 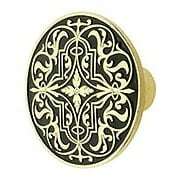 Finely cast in pewter, with a black background, its intricate pattern pops in splendid detail. 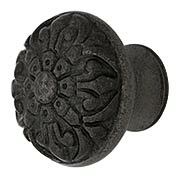 Available in three rich, hand-applied finishes including a silvery antique pewter, radiant antique copper, and glowing antique brass. 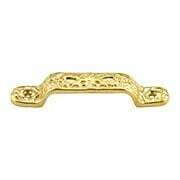 It makes a wonderful addition to any Tudor or Arts & Crafts-style interior. Handcrafted in the USA. 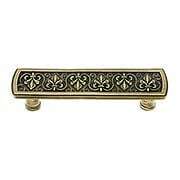 Our Celtic Isles drawer features a lyrical, medieval design. 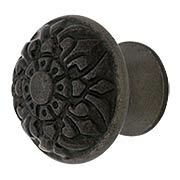 Finely cast in pewter, with a black background, its intricate pattern pops in splendid detail. 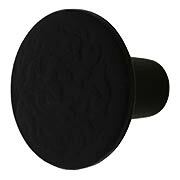 Available in three rich, hand-applied finishes, choose from a silvery antique pewter, radiant antique copper, or glowing antique brass. 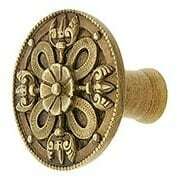 It makes a wonderful addition to Tudor or Arts & Crafts-style interiors. This lovely Victorian style pull is highly ornate with stylized vines and flowers. 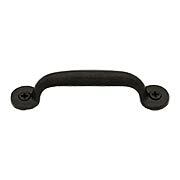 Cast in solid iron and lacquered to protect the dark grey (natural iron) finish.